Bring our DNA Mathematics experts to your school. DNA Mathematics professional development empowers teachers, administrators, and coaches to master the mathematics being taught in classrooms. Grade-band-specific classroom videos are used extensively throughout the services to highlight key instructional practices and demonstrate to participants how they can successfully apply what they've learned in a classroom setting. 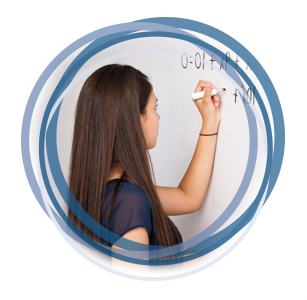 An expert author or DNA Mathematics certified associate will educate and motivate your team to support high levels of mathematics teaching and learning. Successful leaders of mathematics teaching must know what to look for and promote in instruction. Explore content-based strategies to transform teaching and advance learning. Participants will investigate shifts in planning, instructing, and assessing, to focus on deeper content-based instruction. Create a shared image of successful classrooms, and generate a plan for targeted professional improvement in mathematics teaching. Make sense of mathematics for teaching in an intensive and collaborative setting. In this institute, teachers will become the learners of the mathematics that they teach. Gain instructional strategies modeled by an expert with a definite focus on grade-specific mathematical content. Learn how content-based strategies transform teaching and advance learning. Participants will apply deep understanding of mathematics content to create end-of-unit assessments, engage students in high-cognitive-demand tasks, assess student work, and implement productive homework plans. Strengthen practices and processes with just-in-time, in-class support. Participants will observe model teaching, engage in collaborative planning, and receive guidance during teacher observations and evaluations to move mathematics instruction forward. Tell us your goals and challenges, and we'll develop a customized learning plan specially designed to support teachers of mathematics. Our experts—who are available for both on-site professional development and virtual training—will first help teachers deepen their understanding of K–12 mathematics content and then effectively teach the content with focus, coherence, and rigor. Global PD offers on-demand access to instructional videos from the creators of DNA Mathematics—Juli K. Dixon, Edward C. Nolan, and Thomasenia Lott Adams. These videos help create a shared vision of classrooms where teachers and students are engaged in meaningful mathematics learning experiences. View high-quality footage demonstrating classroom mathematics instruction. Explore what best-practice mathematics instruction looks like at the appropriate grade level. 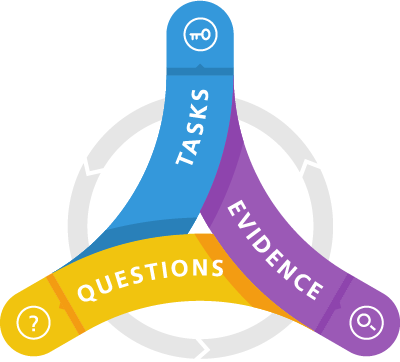 Learn the foundations for connecting prior knowledge to new learning. DNA Mathematics empowers teachers, administrators, and coaches to master the mathematics being taught in classrooms. Grade-band-specific classroom videos are used extensively throughout the services to highlight key instructional practices and demonstrate to participants how they can successfully apply what they’ve learned in a classroom setting.